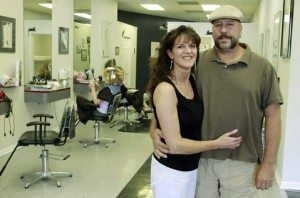 Lori Friend Hair Studio got its start in the spring of 1991. It was a culmination of a dream that Lori Friend had as a Libertyville High School student (then Lori Scott) while she was also in Cosmetology School. 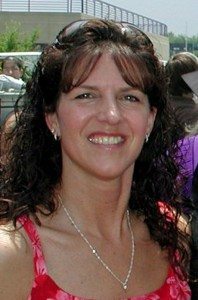 After earning her diploma and license Lori worked for elite local salons in Libertyville and quickly became one of the top stylists in the area specializing in haircuts, styles, colors, highlights, perms and manicures. So Lori decided to go out on her own and run the business the way she thought it should be run. A way in which the client gets 100% of her attention was her goal. With her dedication and early success as a stylist she was able to make her dreams a reality. She found a new professional building at the north end of Libertyville, purchased the building and set up shop. She called it Lori Friend Hair Studio. Lori put her thoughts and plans into motion and the rest is history. She wanted her Studio to be suited to the individual client and she wanted to take care of each and every client herself every time they called or walked through the doors. At Lori Friend Hair Studio there are no separate shampoo people, no separate prep people and no retail sales people trying to sell you items you don’t need. As a matter of fact, there isn’t even a receptionist. Lori strongly believes in the many advantages that benefit the client when she is the only person involved in providing the many hair care services and products offered. You are always taken care of by Lori Friend, the owner, from the time you make your appointment, where you always talk to Lori directly, during whatever hair care and nail care services you are receiving, until you book your next appointment as you are walking out of the Studio. Lori Friend Hair Studio provides a quiet, relaxed atmosphere. You will never be confronted with layers of employees that supposedly have your best interests in mind. You will not be just a name in the appointment book that needs to be rushed through the assembly line to keep the traffic flowing as is the case with other salons. Most often you will be the only client in the Studio. Lori Friend Hair Studio is small enough to capture that peaceful one on one atmosphere yet large enough to comfortably handle husbands and wives together, parents and children together, wedding groups, friends, etc. Come in and take advantage of the plentiful “front row” parking that’s always available. Enjoy a cup of coffee, tea or water. Lori Friend Hair Studio has free Wi-Fi so you can use your personal device while visiting compliments of Lori Friend Hair Studio. Relax and enjoy watching the flat screen television in the waiting area or the one at Lori’s station while she cuts your hair. The kids, who are always welcome, can watch a movie, read available books or play any of the available games if they choose. Lori Friend introduced her business philosophy when she first opened the doors and that unique philosophy is still being successfully practiced today. Discover the many unique advantages that you will only find at Lori Friend Hair Studio.